Microspot MacDraft Professional and MacDraft Personal Edition, CAD Mac design software, provide power and yet easy to use tools and components for professionals and beginners alike. And for the Windows user, Microspot offers our CAD software PCDraft and PCDraft Personal Edition. Microspot MacDraft Professional offers the power of CAD software for Mac users at a fraction of the cost of other professional applications. Users of all levels, including beginners, can now create home and engineering designs, technical illustrations and more with ease. Perfect for producing simple sketches or complex drawings, Microspot MacDraft is excellent for mechanical, architectural and engineering design, as well as for technical illustration. MacDraft delivers a full complement of drawing tools, dimensioning, a symbol library, full color support, slide show functions, customizable function keys, and an online manual. Integrated data base features such as user definable field names, the assignment of date to objects, find/replace features, and more. Report functions are provided, as well as various file formats. 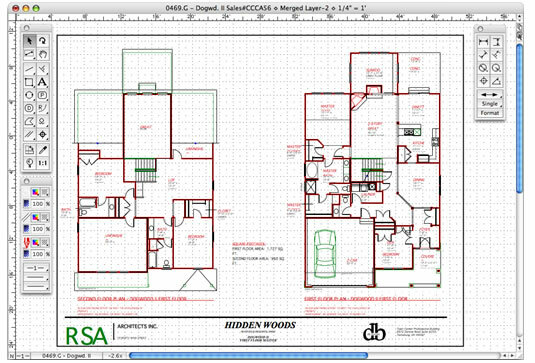 Microspot DWG Viewer is a product based on Microspot MacDraft Professional which enables AutoCAD files produced on a PC to be opened and viewed on Apple Macintosh Computers. The Tool palette offers a full complement of tools. The user has the ability to open not just the model space but also any layouts that the file contains. Once your DWG or DXF file has been opened in the DWG Viewer you will be able to see all the layers in the document via the layers window. These layers can be hidden or grayed giving you full control over exactly what you want to see and what you don't. Files can be exported as pdf files and/or printed. It's that simple, and best of all you don't need to purchase any high cost CAD software to do it! 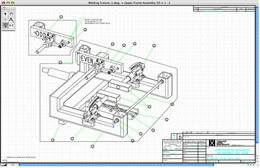 For more in-depth details about our CAD Mac applications, check out MacDraft Pro or MacDraft PE, the personal edition. For more information about the Microspot DWG Viewer, have a look here.